The nexus between retail and IT management has never been greater -- both align to meet shifting consumer behaviors, improve SLAs, better prepare for seasonal demand and more efficiently ramp up for nationwide project roll-outs. 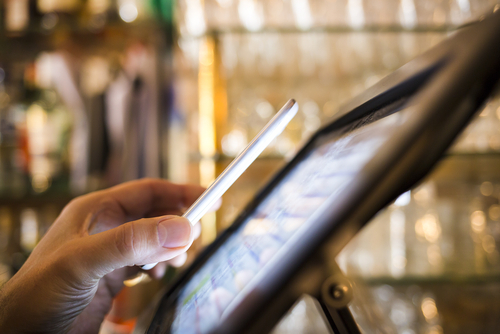 The digital retail experience, encompassing everything from connectivity and e-commerce to physical POS with mobile payments, has become a function of successful IT field service. Retail providers face the manifold need for new software, hardware, and skilled technicians to install, monitor, maintain, repair, and replace an increasingly specialized digital-first operation. Today’s retail customer experience has transitioned to power a personalized, omni-channel approach. The litany of requisite back-end, IT retail systems is vast and expanding: data storage, cybersecurity, connectivity, mobile optimization, kiosk support, printer maintenance, cable installation, Point-of-Sale (POS) repair, and security camera installation, in addition to WiFi and router support. As smart, virtual reality (VR) and internet of things (IoT) devices proliferate and technologies grow in scope and complexity, retailers need more specialized field service technicians than ever before, to support existing and new IT in real time and at massive scale. As these developments shift the industry, there is something that remains constant: the cost point pressures under which retailers operate. Margins continue to slim and consumer expectations only drive retailers to deliver more at a continuously lowering price. Optimizing on-demand labor in the cloud eases some of these pressures to drive improved first-time resolutions, reduced service delivery costs and accelerated response times. The new face of retail service is on-demand. Leveraging a robust on-demand curated marketplace of certified professionals, retailers can handpick a technical workforce based on their unique requirements, certifications and needs, better managing quality, compliance and risk. On-demand workforce management provides retailers with the tools they need to optimize and cultivate their IT Labor Clouds so they can deliver the correct amount of labor to meet aggressive service SLAs. Not only can retailers manage independent contractors to find exactly the right technicians at the time and place they need, but also automate internal project and crisis management operations for improved efficiencies. Security may not always be a top of mind concern -- but having a contingency plan for your retail service should be. Cue on-demand field service. What steps would your retail organization take to avert a security crisis? In the case of a potentially severe threat, a 2 – 3 week long job may need to be condensed into a 48 hour window -- would your service provider be able to deploy the skilled labor to resolve the issue? WorkMarket helped a mega retailer organize, deploy and manage an on-demand Labor Cloud comprised of skilled technicians who could effectively address a wide-scale security threat on a store-by-store basis, while a core team of engineers set out to troubleshoot and repair the foundational system to prevent the spread to other stores. WorkMarket facilitated a call for new applicants who were promptly vetted based on the provider’s specifications including satisfaction level with past performance, skill set, on-time percentage, and more. Within 48 hours, the system was back up and running for more than 75 percent of the affected stores. The mega-retailer was amazed by the nimbleness of the provider they chose, and this “trial by fire” for a feisty competitor eager to gain market share has effectively positioned them for a game-changing partnership worth $1.5M annually. Retailers are quickly moving beyond brick and click to deliver more, and at ever lowering cost points. Industry leaders have found ways to optimize on-demand labor to better manage and scale their IT field service. Is your retail service provider keeping pace? Learn more about managing an on-demand workforce around your retail operations by downloading our recently published whitepaper: 10 Ways To Make Your Retail Deployment Workforce Smarter.